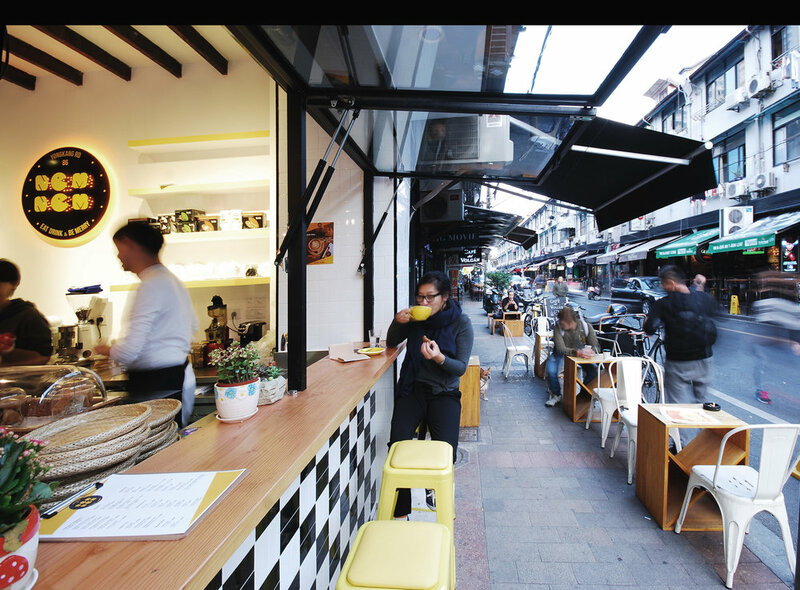 Situated on the intersection of two lively streets, the small bakery and cafe is housed in an old lanehouse. Its white tile storefron with funky colors and patterns pops up and contrasts the local neighbording buildings. Customers can sit at or order directly from the countertops facing the street, where it's easy to socialize and interact with the bustling city life. In the interior, the original structure of the lanehouse has been altered minimally to preserve the character of the space. Combined with yellow dashes of color and bold linework, the cafe is a hybrid of the new and old.